Sparco Racewear - Competition Gloves - Arrow RG-7 EVO UNIVERSAL - Dezod Motorsports Inc - Home of the automotive performance enthusiast since 2002. The Arrow RG-7 EVO is the only racing glove on the market that features Touch-S technology, which is a “Touch Sensitive” index finger and thumb. 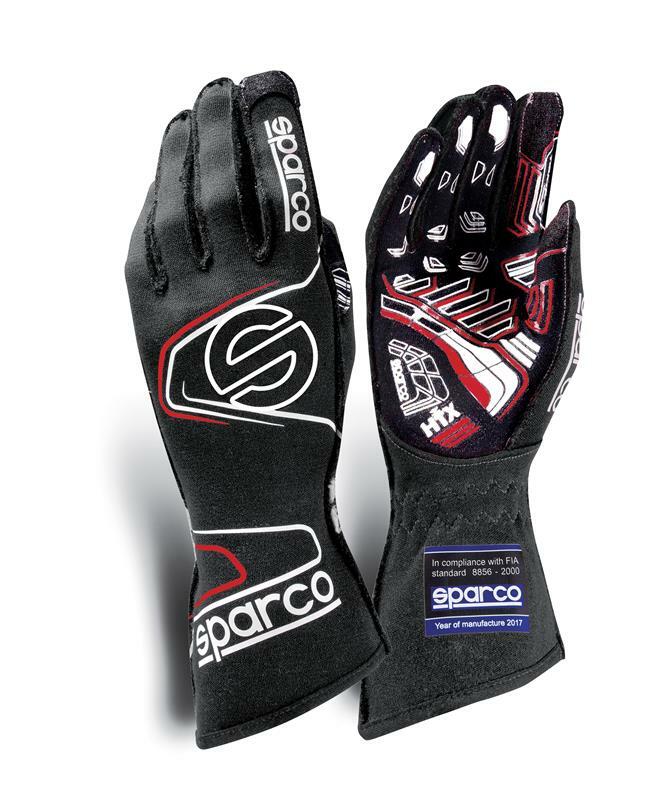 This Sparco patented fire resistant touch sensitive material allows you to use your touch screen data acquisition electronics or phone lap timer apps without taking off your gloves. The palm is printed with high-grip HTX. Another Sparco patented material that increases grip, comfort and dexterity. The HTX is strategically placed for maximum grip and performance. The Arrow RG-7 EVO is ultra-lightweight with pre-curved fingers, external stitching and a unique inner thumb seam that gives unparalleled comfort. Available in five colors. The Arrow RG-7 EVO is FIA and SFI approved. HTX – Sparco’s patented grip material. “Touch Sensitive” finger tips compatible with touch screen data acquisition and lap timer apps.